Now, as guitarists who have witnessed the creation of everything from the Electraglide to the Minarik Inferno, we know there isn't much left that can surprise you, but seeing Mr Rob Chapman, the man behind Chapman Guitars, in a guitarguitar shirt should just about do it! 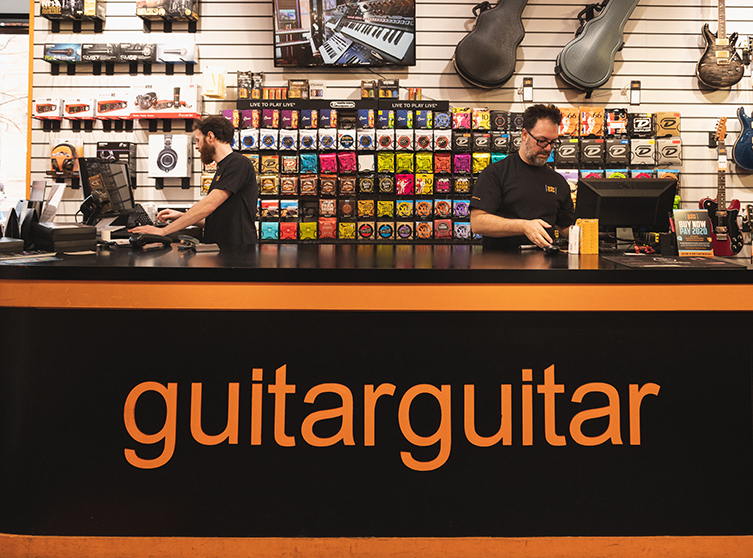 That's right, Chappers himself stopped by our Epsom store recently to shoot some video content and demos for his range of guitars and we had an absolute blast chatting to him and getting the low down on the brand's full lineup. Now, we've been very much on board with Chapman and their selection of rock ready instruments since they were launched but it was great to hear the thinking behind guitars such as the ML1, ML2 and ML3, along with firm favourites of ours, the Ghost Fret and ML1 Modern Baritone. We had the chance to break down Rob's favourite models and get an insight into the design process which further convinced us of the brand's 'for the people' ethos that we've come to admire. We've got plenty of rundowns, sound bites, demos and more to show you, ranging from informative to just plain silly, so we thought we'd start off with a behind the scenes look at our Facebook live stream with Rob Chapman - check it out below! Let us know your thoughts on seeing Rob Chapman at guitarguitar on YouTube, Facebook, Instagram or Twitter now!